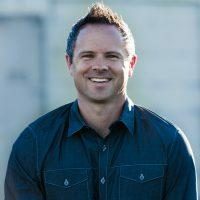 Why Apologists Need to "Lower the Bar"
There is a lot of talk about how we need to raise the bar in parenting, youth ministry, education and so on. This idea is that to create change we need to “raise the bar” of expectations. In other words, if we want people to believe and live differently, we need to demand more of them. While there is time to raise the bar, there is an area where I believe we need to lower the bar—in apologetics. Let me explain. Learning to play a guitar can take months and even years. Many people give up because they encounter the level of commitment required to play well. Since the bar of learning to play is considerably high, more people have given up learning guitar than are actually playing it. In other words, the success of Rocksmith is largely due to their “lowering the bar” of expectation so people would simply get started and then offering an easier path to success. How does this relate to our task as apologists? In my experience, sometimes we unnecessarily raise the bar of expectations, and as a result, unwittingly discourage people from learning the art and science of defending the faith. For instance, a few years ago I spoke at an apologetics conference at a local church. The event sponsor was fresh out of seminary and excited to train others. He was knowledgeable and enthusiastic, but unfortunately he gave a lengthy talk to lay people on the cosmological argument, and because he used “big” words and failed to relate his case personally to their lives, the audience checked out. Even though he was well intentioned, sadly, many people left the event with less interest in apologetics than when it began. Am I saying Christians don’t need training in apologetics? As Paul would say, “By no means!” Am I saying we don’t need more Christians to do top rate scholarly work in theology, science, philosophy and history? Again, of course not. My father has often encouraged me to remember the acronym KISS: Keep It Simple Stupid. In other words, rather than trying to impress people with big words, find simple ways for people to both understand and relate truth to their lives. In my experience, when I use stories, examples, and memorable illustrations, people generally love apologetics. But when I unnecessarily raise the bar by complicating things, people tune out. The problem is not with apologetics. The problem is often our failure to communicate it in a way that resonates with peoples’ hearts and minds. Part of the success of apologists such as C.S. Lewis, Lee Strobel, J. Warner Wallace, and my father Josh McDowell is that they have found creative ways to get non-specialists to value and learn how to defend the faith. They creatively use stories, examples, and humor to make apologetics both interesting and attainable. In fact, they have encouraged many people to learn apologetics who may not even know (or care) what the word “apologetics” even means. There is a time and place to “raise the bar.” Training the church in apologetics is not one of them. As cited in Tom Koulopoulos & Dan Keldsen, Gen Z Effect: The Six Forces Shaping the Future of Business (New York, NY: Bibliomotion, 2014), 157.